We all hunger for the full appropriation of truth—for an environment in which we can explore the moral and spiritual significance of knowledge. It is commonly said that universities exist for three purposes: the creation of knowledge, the preservation of knowledge, and the transmission of knowledge. This is certainly true. But there is an additional purpose, and that is what I call the appropriation of knowledge. It is in respect of this goal that the significance of faith in the cause of learning becomes clearest. For this crucial reason, though it is not the only reason, Mormon or Catholic or Protestant or Jewish or Muslim universities must be more than simply secular universities with some religious symbols in the classrooms or prayers before classes or religious activities on campus. Faith must play a key role in the intellectual life of the university. Faith must inform the curriculum and help to shape the questions we explore. A pitfall that I think is simply critical to avoid is the aspiration of a religious university to be “the Mormon Harvard” or “the Catholic Princeton,” at least where that aspiration entails mimicking the professional norms, standards, practices, and goals of universities that have opted for a more or less thoroughgoing secularism. The consequence of such mimicry will be the abandonment of that part of the mission of the university that concerns what I have called the appropriation of truth. What I am describing is no mere theoretical possibility. It has happened to many colleges and universities that were once religiously affiliated and to more than a few that continue to have at least nominal religious affiliation. But for those universities that have remained faithful, including this distinguished institution, secularization is by no means inevitable. Nor is it the case that a decision to resist secularization inevitably undermines the capacity of such institutions to command respect in the larger intellectual culture. A Brigham Young University or a University of Notre Dame need not choose between religious fidelity and the respect of peer institutions, and they certainly need not choose between fidelity to their religious mission and academic excellence. The deeper questions of meaning and significance cannot permanently be laid aside, even in secular institutions. We human beings long for the truth and desire its full appropriation. We cannot permanently be satisfied with conceptions of intellectual life and inquiry that place the deepest questions out of bounds or off limits. Excellence is the aspiration and rallying cry of all universities. 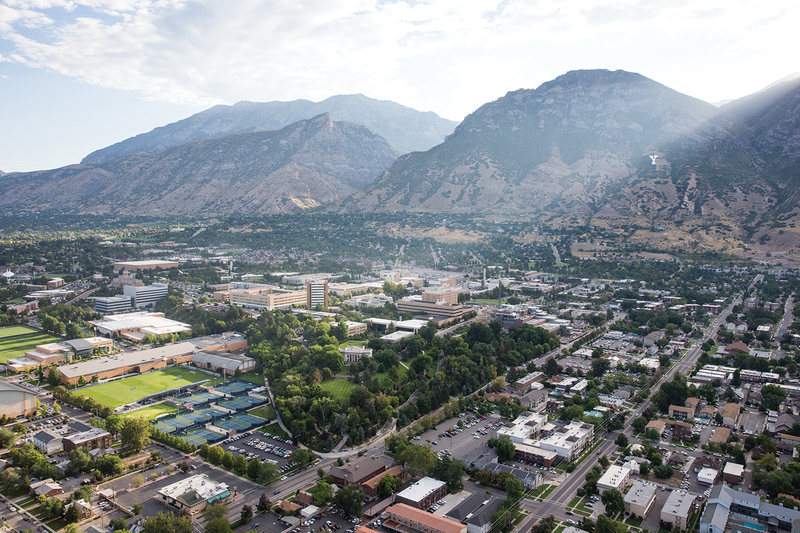 The excellence of BYU consists in no small part in its devotion to the appropriation of truth—its dedication to exploring the larger, lasting, and even eternal meaning and significance of what we know or can discover. My prayer is that by the grace of God and with His abundant blessings BYU will always remain faithful to its mission in all of its dimensions. Pursue the truth, preserve the truth, transmit the truth, and appropriate the truth more and more deeply. Robert P. George is the McCormick Professor of Jurisprudence at Princeton University. This essay is adapted from an address delivered April 23, 2015, at BYU commencement, where George received an honorary doctorate.